You've done flowers. You've done the heart-shaped box of chocolates. You've signed your name to the card with the saccharine message printed on the inside. You need to find a new way to say "I love you" to that certain special someone. 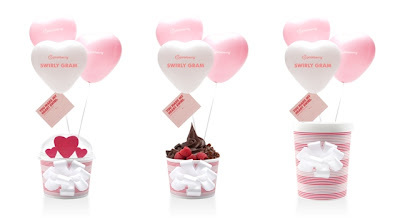 For $10, you can order The "Cupid's Swirl" -- one medium Pinkberry frozen yogurt with an assortment of toppings. 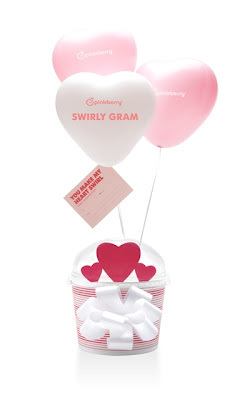 If you're feeling a little more assertive, you can order the "Take Me Home" Swirly Gram for $20. You'll get five servings of Pinkberry frozen yogurt packed in a 25-ounce take-home container with the toppings on the side. Perfect for sharing while cuddling on the couch, watching your favorite romantic comedy. 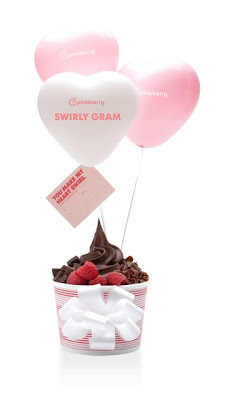 And, if you'd rather give the freedom of choice, you can order the "Swirly Spree" Swirly Gram and send your honey pie a Pinkberry gift card for any dollar amount. You'll just have to pay an extra $2 on top of the gift card's face value to cover delivery and packaging fees. In-store orders can be placed through February 10th, while online orders can be placed through February 9th. Delivery of these sweet treats starts on Friday, February 11th and will run through Valentine's Day. 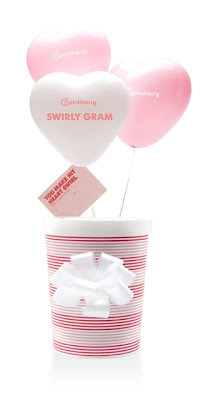 Now, who wants to send me a Swirly Gram?